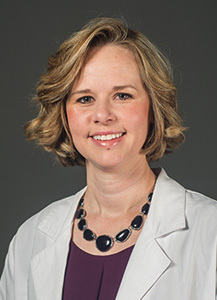 After growing up in Colby, Kansas, Amber Haag graduated from the University of Kansas School of Pharmacy with her Doctor of Pharmacy degree in 2003. After graduation, she completed a Community Pharmacy Practice Residency with Green Brothers Pharmacy in Stockton, California. Amber returned to Kansas in July 2004 and began working as a pharmacist with The Medicine Shoppe Pharmacies of Emporia. In October 2013, she purchased the pharmacies from Don Hill. Amber is passionate about the profession of pharmacy and spending her time taking care of her patients. She specializes in hormone replacement therapy for men and women and compounding. She is committed to life-long learning and is continually striving to grow and expand her pharmacy practice. Amber lives in Emporia with her husband, 2 wonderful children, and their dog. The Haag Family enjoys spending time together, traveling, and going to the lake! Amber continues to be involved in the Emporia community in various capacities.